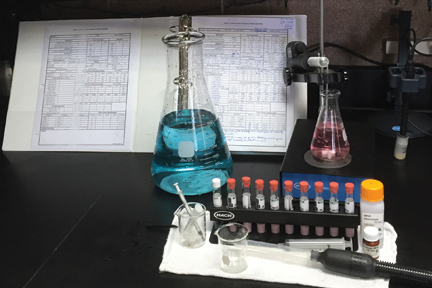 Our drinking water is subject to a rigorous testing process that includes weekly, monthly, quarterly, semi-annual, annual and triennial monitoring to ensure compliance with U.S. Environmental Protection Agency (U.S. EPA) and State Water Resources Control Board – Division of Drinking Water (DDW) regulations. Water is monitored at various stages of the process, including at the source, during treatment, and throughout our distribution system to ensure that we are delivering the highest quality of water to our customers. Here at the West Valley Water District, we even sample beyond what is required by the U.S. EPA and DDW. In fact, we double the amount of bacteriological samples required by DDW since the District covers such a large area.